Besides your swag bags, photos taken at your event are the best memorabilia any guest could have. Photobooths are a great way to get your attendees involved and can be the perfect social media marketing strategy too! From artful product design to social enablement, these photobooth experiences are designed to seamlessly complement your brand and maximize visibility and engagement. ABCey has compiled a list of 10 high tech photobooth trends of 2018 that you can try at your next event! 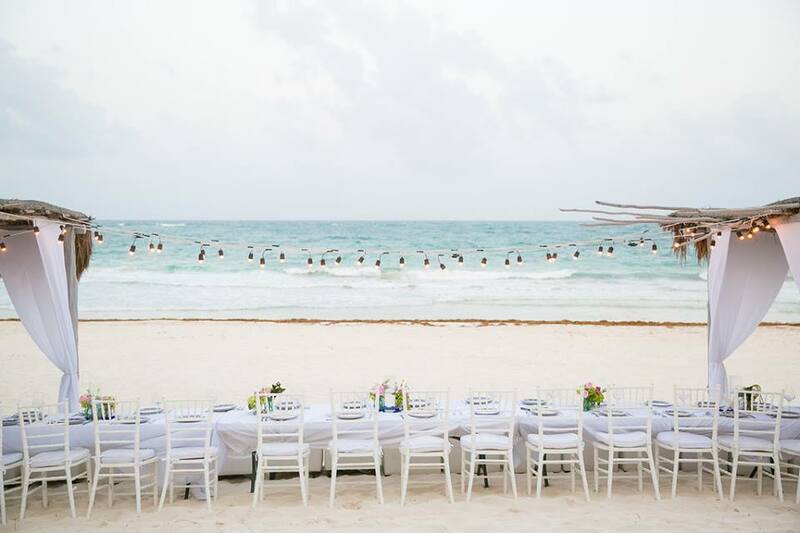 With a rig set up around, your guests can take a picture where you can view it from all angles! This creates an amazing photo-op for groups or singles, and creates an interactive component with the photo. Pixperience has some great 360 photobooths for your events! Instead of having to single still backdrops, spruce it up a little with a projector booth! You can switch up the backdrops for every photo and can also personalize it for every person! Ask if your guests want to upload one of their videos for a background or if they want to choose one from the set! Either way, guests are able to interact with whatever background they choose to create the perfect photo! Animated GIFs (pronounced “JIF,” like the peanut butter brand) have completely permeated, and in some cases, taken over social media! Let your guests create record a short and fun, animated photo to let them remember what a great time they had at your event. We even had our very own from Bosco at the Sephora VIB Rouge SF Flagship Launch, and our guests had a blast using it! Painting with lights. It’s an unforgettable photo op! You can use these lasers to write words or draw shapes in midair and the photo captures it all! It creates an amazing effect and allows you to get a little creative too! What will your light say? #Hashtags #Are #Everywhere! Who can resist them too? They are a fun way to help others find pictures similar to the one you posted. With this booth, you take a photo with the event hashtag and the hashtag printer will print a copy of the photo with the hashtag to put up on the mosaic wall! It’s a great way to personalize every photo with unique hashtags from your attendees! A picture is worth a thousand words. This flipbook is a way to tell a whole story through a stack of photos. By printing frame by frame, these photos look as if the guests are moving, allowing you tell a story or show some dance moves, too! Giggle and Riot have super cool flipbook photobooths for your stop motion stories! These little iPad booths are nothing new, but have really started to gain popularity lately! People are realizing how fun and convenient these photobooths are! You are able to take the photo and send it to yourself, without any hassle or wait. It also doesn’t need to be manned all night long, so you can focus on the other aspects of your event! Don’t you wish that you can see yourself while you take your photos so you know you look good? Here’s the answer to all your prayers, the mirror photobooth! With this, you can see your own poses in the mirror while it takes your photo! Say goodbye to awkward poses and stray hairs you missed when you checked yourself out! These photobooths are amazing because you can make a short little clip, featuring you! It’s the perfect way to show off some of your dance moves or let a little of your silly side out. And, you can send them directly to yourself! Who doesn’t love a good ball pit? Let your guests relive their childhood memories by diving into a pit of balls to take the perfect photo! It’s the optimal time to let your inner child out and capture these moments of joy! 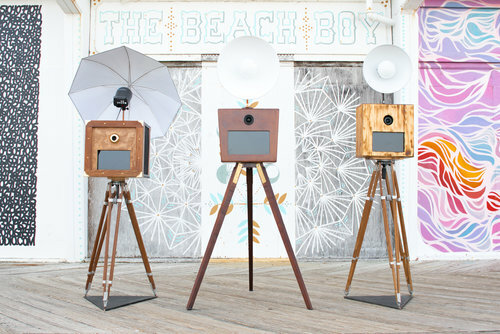 What’s your favorite high tech photobooth? Are there any we missed? We’d love to hear from you! Let us know in the comments below or on Facebook and Twitter! Capturing the raw, spontaneous moments of events is something all photographers aim to do. There are a lot of little things that can make diving into special event photography much easier or much harder on yourself. Below are a few event photography ideas of how to prepare and execute your photo skills at your next event! The event planner is responsible for all the little details at each event. Therefore, they will love that you captured shots of the room prior to the guests arrival. Not only will it be something they can use to sell their services in the future, it will also allow them to catalog the set-up in case they have a very similar type of event in the space again. Photo from ABCey’s Loreal & Skinceuticals PR & Media event in February 2010. Every event has it’s own story. Try to capture the entire story of the event & show the full scale. Take pictures prior and snap shots as people arrive. During the main event, set your camera to burst mode and shoot as many shots as you can. Bring a large amount of memory cards, as space should not dictate how many shots you should take. Candid audience or crowd shots are nice here and there, but a good rule of thumb is that once plates go down and people are eating, keep the camera pointed away from the tables and onto the stage. Photo from ABCey’s BlackJet SF event in Union Square in February 2013. Once you edit your photos down to the best images, bring your files into your editing software and crank out the images. Make sure your images looks crispy and clean. Get your photos to your client as soon as possible after the event. They will appreciate the efficiency and attention to their event! Photo from ABCey’s Brit + Co Remake Event Day 1. It can take some patience, but make sure you get images that indicate everyone was having a good time. Make sure guests, especially high-level executives aren’t caught in goofy or unflattering expressions! Photo from ABCey’s Blumberg Capital event. You want to make sure that the event looks well-attended with lots of people. Focus in on larger clumps of people to provide shots that indicate the event was crowded! Photo from ABCey’s UpStart 10x event in May 2017. What photo tips to you use for events? Let us know in the comments below, or on our Facebook & Twitter pages!